Andrew Hinman Architecture is an architecture and design studio based in Austin, Texas. 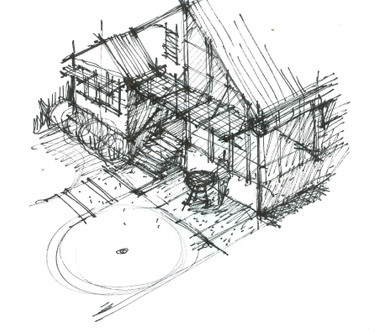 Our approach to the design/construction process is hands-on, collaborative and personal. Our work includes residential, commercial, and community-use projects with particular experience in remodeling/adaptive reuse. The foundation of our design process is respect for the physical and cultural environment in which the project will exist. Each solution must respond to its context — the region, the climate, the natural environment, the community, the land, and sustainability. Ultimately, our work is a creative and practical reflection of our client’s vision expressed through design strategies, the latest problem-solving technology, an attention to craftsmanship and the resources available.